A big TGIF over here today chicas! I feel silly complaining as Monday was a teacher workday and Tuesday was a snow day, but somehow, despite the short week, this one has been a doozy! I am ready for a respite this weekend! Can y'all believe that Valentine's Day is just two weeks from tomorrow? Bryce and I always stay at home on Valentine's Day and put extra care into cooking a decadent meal together. Even though we stay home, that doesn't mean that I don't also put extra care into what I'm wearing, too! 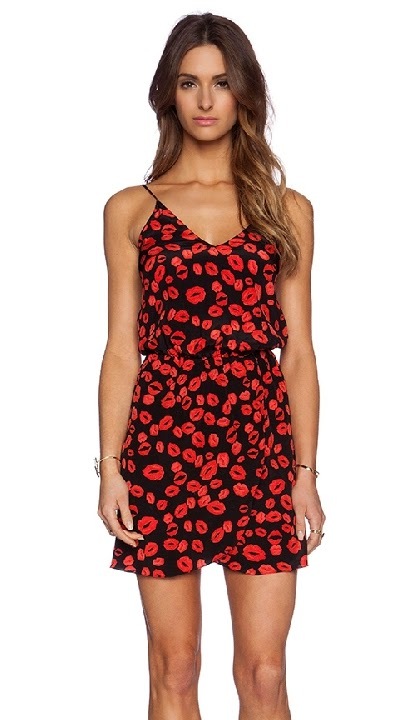 When it comes to this year's Valentine's Day outfit, Rory Beca is majorly on my radar! I have been smitten with this dress since a friend's local shop Traveling Chic Boutique posted it on their Instagram! I mean...it is beyond perfect for Valentine's Day! Kissy red lips!? Yes, please! 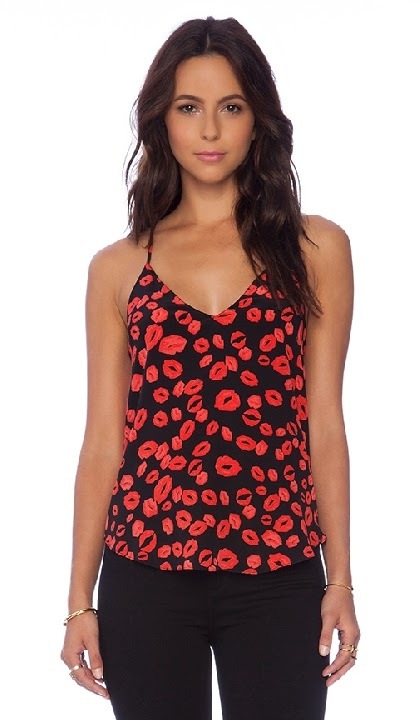 I am also majorly loving this top in the same lipstick print! I think it would be fab with this edgy version of my all time favorite pant, the Pixie pant, and these heels! And you guessed it, she has even more tops that would be oh so perfect for Heart Day, too! So now, what is a girl to do? Go for the dress or top? Go for holiday inspired lips or a more neutral, yet still bold bright? Any idea what you'll be wearing? Have you ever shopped Rory Beca before? Adorable! I'd wear this to work with a skirt and cardigan, too. Amen for a short week! How did Valentine’s Day sneek up?! I feel like we were just celebrating Christmas! Love the idea of looking nice and staying home.., hate those crowds! Love that dress; perfect for Valentine’s Day! I love the hot pink one even more. Super cute stuff! I've honestly never heard of her but am now intrigued (post baby of course). We never go out on V-Day - too expensive and crazy - but we need to get back into the spirit a bit more than we've been the last couple of years! I think an at-home fancy meal after the kids are asleep might be the right thing - any menu suggestions? the rory beca picks are so cute!!! We can't decide what to do this year…. part of me wants to go out for a yummy dinner, and part of me wants to do what you are doing and make a nice meal at home together! Great outfit! We are always low-key with Valentine's Day too. I've never heard or Rory Beca. I love the dress. It's perfect for Valentine's Day and date night later. Can't wait to hear what you are making this year! We have no plans for the big day - other than spoiling our little loves. Love these outfit options! I have no idea what I'm going to wear..I need to start planning! Last year my boyfriend and I went to a ton of different places that offer a Valentine's special for couples if you're holding hands, kiss, etc. We got buy one, get one free burritos and free ice cream. I think that's our plan for this year, too! Hope you enjoyed your weekend!! I love that lip-printed dress! I think I am going to wear a bright red solid tank dress with an asymmetrical ruffle. The prints are so fun and heart day themed though so its hard to decide!